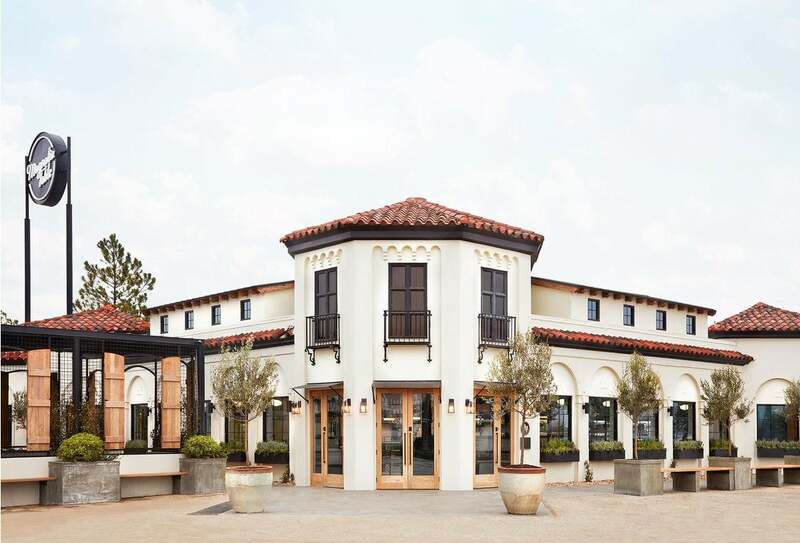 The day has finally arrived: Chip and Joanna Gaines’s restaurant, Magnolia Table, is officially open. After almost two years of wondering about everything from the menu to the decor, our questions are about to be answered. Here’s what we knew: The couple had planned to refurbish the historic Elite Café and both preserve the charm of the original restaurant and add their signature flair to the design. So far, a sneak peek into the space showed a stunning black and white tiled entryway, complete with a rustic chandelier. We also knew the general direction the menu was going in—breakfast and brunch, per Chip’s love for those particular meals—as well as a couple specific dishes that were going to be featured. The restaurant, which will be open Monday to Saturday and doesn’t take reservations, seats up to 210 people. Chris and Christina Wagers were among the crowd that flocked to Waco, Texas, for the opening. “We got here about 10:30 in the morning and waited about 20 minutes to get a table, which was not bad at all,” Christina told the Waco Tribune-Herald. “It was about $50, including tip, which we felt was reasonable,” added Chris, referring to the Farm Eggs Benedict, Pancake Breakfast, juices, and coffee the couple ordered. The lines may not be long now, but judging by the instant popularity of pretty much everything Chip and Jo do, we doubt they’ll stay short forever. No doubt, the menu will also draw in heaps more guests—a first look at the printed menu shows mouthwatering treats that range from hearty breakfasts to salads you’ll actually want to eat to a special kids’ menu. There’s even something called the “1919 Pimento Cheese Sandwich,” an homage to the original Elite Café. The menu is a mix of healthy and comfort food, so there’s something for everyone. A note at the top of the menu writes Spring ‘18, suggesting that the offerings will be rotated seasonally in keeping with the farm-to-table philosophy Joanna frequently espouses. Magnolia Table is far from an ordinary sit-down restaurant. There’s also an outdoor coffee bar, perfect for soaking up the sunshine with a fresh juice or an espresso. The restaurant’s “Take Away” area is another unique feature, essentially consisting of a shop where guests can both shop for gifts and place a to-go order. As for the design, Magnolia Table’s exterior boasts a Spanish-style clay tile roof, with a retro diner-style sign and plenty of potted greenery outside. The inside is more of a tribute to the Elite Café, with classic colors and architecture providing the backdrop to vintage photographs as well as the Café’s original menu. Live in Waco (or willing to make a road trip in the name of lemon lavender donut holes and buttermilk biscuits)? Magnolia Table is located at 2132 South Valley Mills Drive, Waco, Texas, 76706.